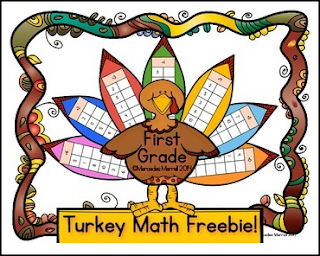 This Turkey Math FREEBIE is a great center or whole class activity to get the students in the holiday mood! After completing the addition and subtraction problems on the feathers, the students will cut and paste them, along with the colored turkey body, on construction paper for a perfect Thanksgiving craftivity! There is also Color by Color Word fun included. If you and your students enjoy this free product, please take a moment to leave me feedback!